Originally published in 2010, I can’t believe I have missed The Woman Before Me until now as it is a brilliant psychological thriller; probably one of the best I have ever read. To mark a decade of publishing, this year Legend Press is reissuing three of its most popular titles to enable them to reach a new audience. This includes The Woman Before Me. Hence I was invited to take part in the blog tour to mark the release of the new edition. As soon as I started reading this book I knew I would like it. I literally read it in one sitting as I couldn’t tear myself away; I found it so compelling. The Woman Before Me is Rose’s story. Tackling very disturbing issues, Rose is in prison for the death of her friend Emma’s baby, Luke. 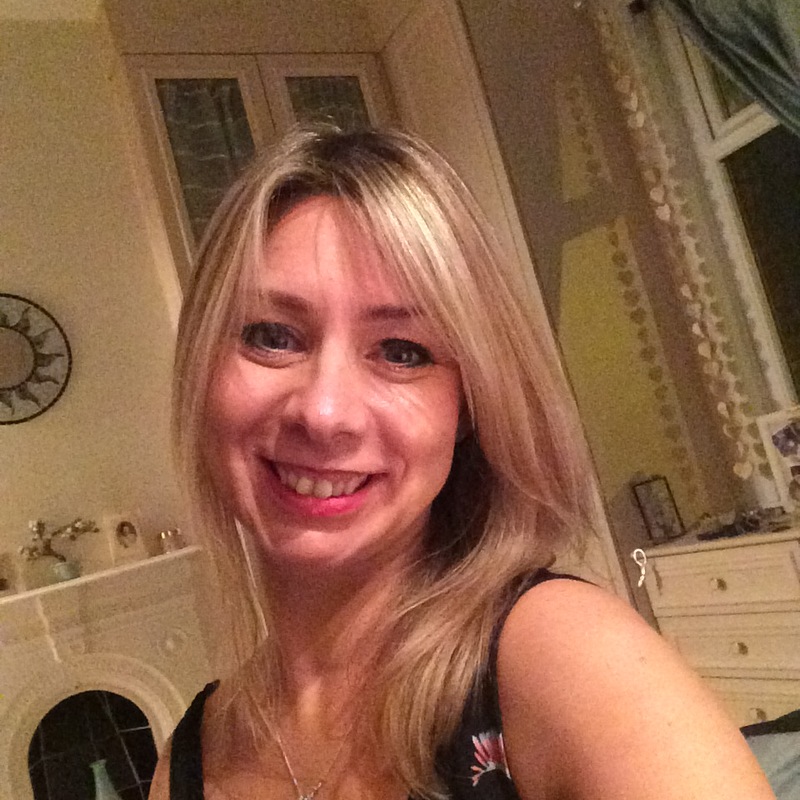 Emma is also the ex-wife of Rose’s boyfriend Jason; and prior to Luke dying, Rose also lost her own baby, Joel who was very ill and in intensive care. Rose is up for parole and it is up to her newly assigned probation officer Cate Austen if Rose will get it or not. Rose gets under Cate’s skin and she got under my skin too; she is psychologically disturbed and manipulative yet also vulnerable and desperate for love. Rose chilled me to the core yet I also couldn’t help having empathy for her too. This is a character driven story which is mainly narrated through Rose and her entries in her ‘black book’. Here we find out about her childhood, her losses and rejections which make her the disturbed and complex character she is. Cate also has chapters dedicated to her which brings the story to the present. She is also a mother, as motherhood is the thread that binds this story together. Through Cate’s chapters we get a vivid insight into the culture of prison life; full of blatant, chilling sexism and bullying. Rose’s chapters relating her life in prison are also extremely disturbing. 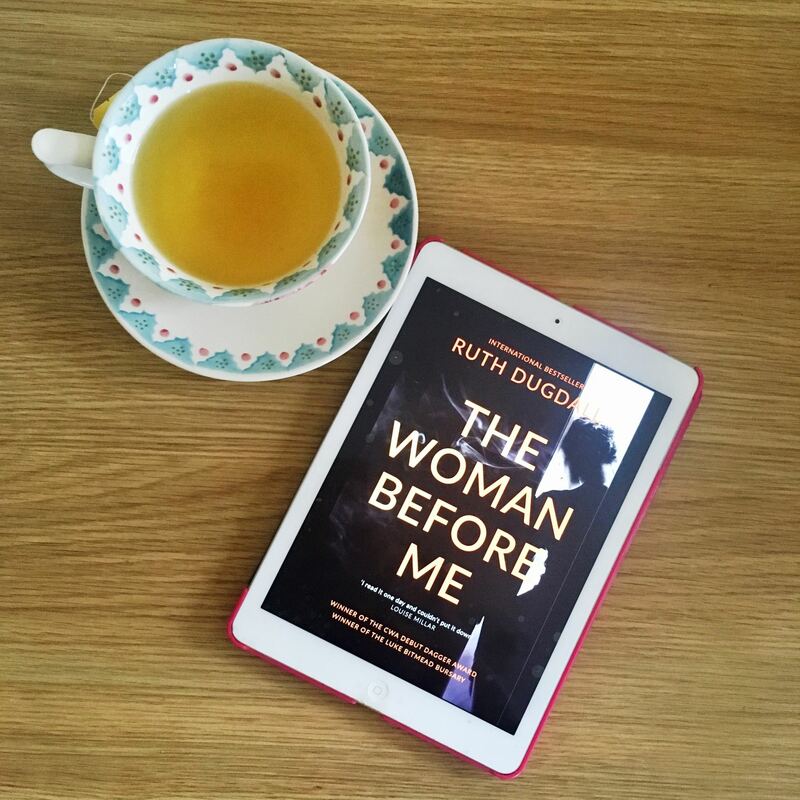 The author Ruth Dugdall was herself a probation officer. She chose to set The Woman Before Me, her debut novel in a prison very similar to one she worked in, using her writing as an outlet for her anger at the shocking and cold institutional culture. Dugdall did this brilliantly, which adds to the tension of the novel. As I say, The Woman Before Me is one of the best psychological thrillers I have ever read (and I have read a lot). It has subtle twists which really kept the plot moving and kept me guessing throughout – but nothing prepared me for the final twist. It is a dark and disturbing read that really tackles emotional and sensitive issues, but is so well written and thought out that it is also a must read. It is out now, so go out and grab your copy now! Since its initial publication in 2010, Dugdall has since written more novels including the character of Cate Austen and focusing on the probation service. I will definitely be reading these, and reading them soon. I want to give a very big thank you to Legend Press for inviting me to take part in the blog tour of this remarkable novel to mark the publication of the 2018 edition, which also includes exclusive material. Thank you also Ruth Dugdall for bringing us Rose, Cate and such a gripping plot. 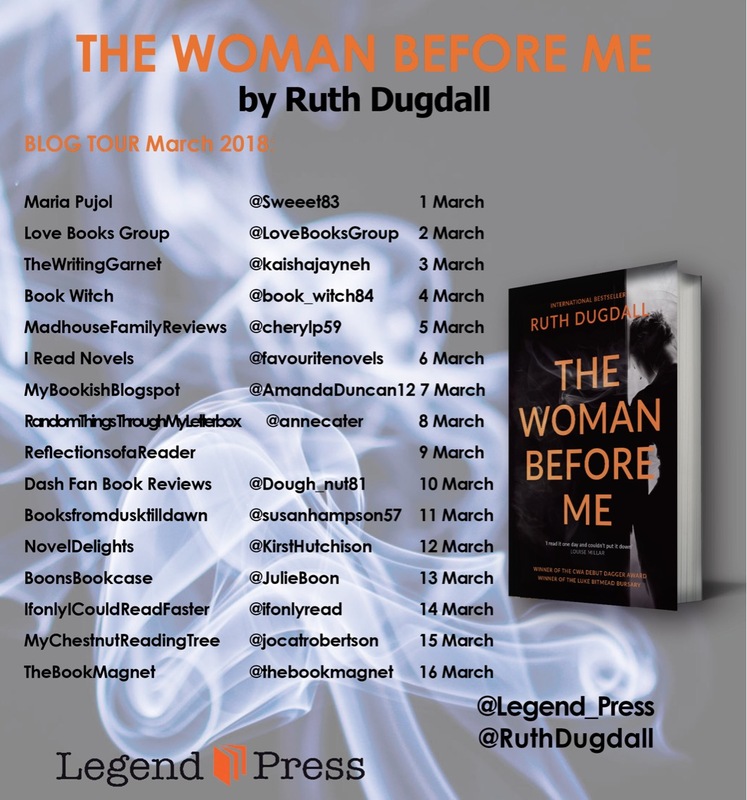 This is my review of The Woman Before Me, but if you want more evidence of how chilling and brilliant this novel is, please take a look at my fellow bloggers reviews who are also on the blog tour (details below). Publication date of the new edition of The Woman Before Me: 1 March 2018. Loved this book the best by Ruth. Read it for the blog tour but my info was wrong as my website is favouritenovelswordpress.com and not I read novels my Twitter address was right. I know it’s brilliant isn’t it? I finished it a few days ago and I can’t stop thinking about it. I’ve read your review, it was really good.